Chandler & Price was founded in 1881 in Cleveland, Ohio, by Harrison T. Chandler and William H. Price. They manufactured machinery for printers including a series of hand-fed platen jobbing presses, as well as an automatic feeder for these presses (the Rice Feeder), paper cutters, book presses, and assorted equipment. 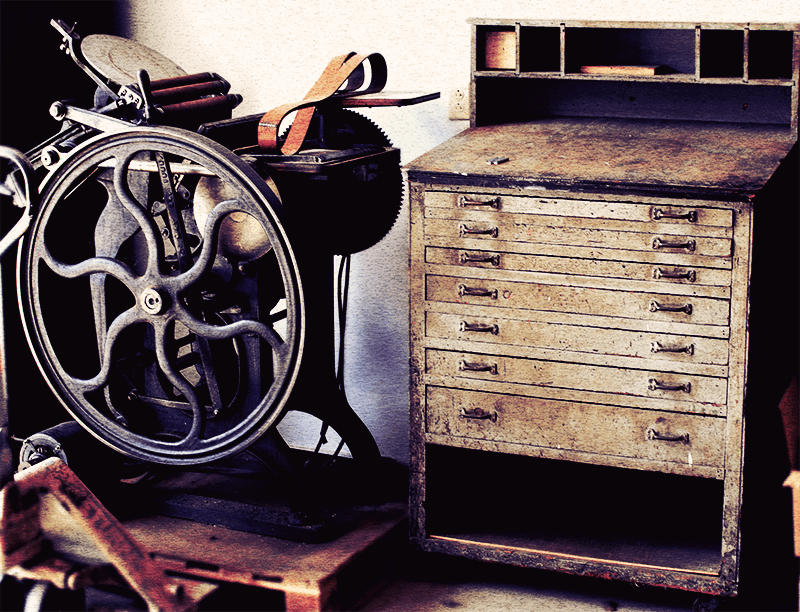 Despite dominating the industry in the 1930’s, by the 1950’s the offset printing industry had eclipsed the world of movable type printing, and only Chandler & Price and Brandtjen and Kluge continued to make open platen (Gordon) presses. Chandler & Price ceased production of presses in 1964.